If you’ve been struggling with daytime fatigue, you might have been too sleepy to notice that March 10 was Insomnia Awareness Day. When a sleep disorder is granted its own awareness day, it’s a safe bet that a significant portion of the population experiences it. In fact, insufficient sleep is so common that the Centers for Disease Control and Prevention (CDC) has called it a “public health problem.” Insomnia is a problem that millions struggle with to great detriment to their health. Insufficient sleep increases the risk of motor vehicular accidents and workplace accidents, not to mention the increased risk of heart disease, obesity, and diabetes. All of that may be a little frightening, but there are several effective ways to fight back against insomnia. If you’re tossing and turning at night, your mattress is likely due for an upgrade. At Mattress World Northwest, our Sleep Specialists truly live up to their title. Let us put our expertise to work for you. We’ll take a look at your typical sleep style and any health concerns you may have to recommend high-quality mattress models for you to try. Everyone’s mattress preferences are unique, but our Sleep Specialists are up to the challenge of connecting you with your best night’s sleep. Despite the name, sleep hygiene doesn’t pertain to cleanliness. Rather, it’s a set of practices or habits a person uses to support healthy sleep. One of the cardinal rules of sleep hygiene is to stick with a regular schedule. Try to get to bed and wake up at the same times each day, even on weekends. Support your body’s natural circadian rhythm by getting some sunlight during the day, especially in the morning. Set up your bedroom in a way that is conducive to healthy sleep. In addition to choosing a comfortable, supportive mattress, adjust your bedroom’s temperature so that it is slightly cool, but not chilly. Use blackout curtains and block other sources of light. Choose an alarm clock that isn’t illuminated. Shut off all electronics, including your TV and cellphone, at least an hour before bedtime. Instead, spend the time doing a relaxing, consistent bedtime routine, such as taking a warm bath. If you’ve been struggling with insomnia for a while, the mere thought of going to bed can be stressful. Unfortunately, dwelling on the problem can only make it worse. 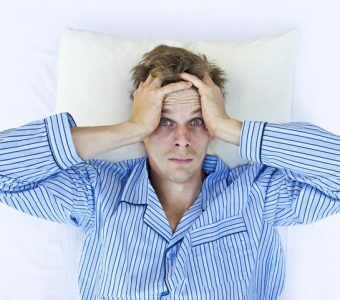 There is a subtype of insomnia that develops due to one’s excessive worrying about sleeplessness. It can be tough to break this cycle. For some people with chronic insomnia, it may be appropriate to discuss short-term pharmaceutical options with a doctor. Long-term solutions include only going to bed when sleepy and getting out of bed to do a quiet activity if sleep doesn’t come right away. Here at Mattress World Northwest, we understand how frustrating it can be to toss and turn at night, and be exhausted during the day. We’d like to help you solve your problem by guiding you through our showroom and letting you take all the time you need to try out different mattresses. Visit a mattress showroom near Portland today to check out our premier mattress models.